Volkswagen remained Germany’s top-selling car brand during the first semester of 2017 but lost market share in an expanding market. Mercedes Benz regained second place. New passenger vehicle registrations in Germany increased by 3.1% to 1,787,026 cars during the first six months of 2017. Volkswagen remained to best-selling car marque in Germany but VW’s market share slipped to below 20% for the first time in years. 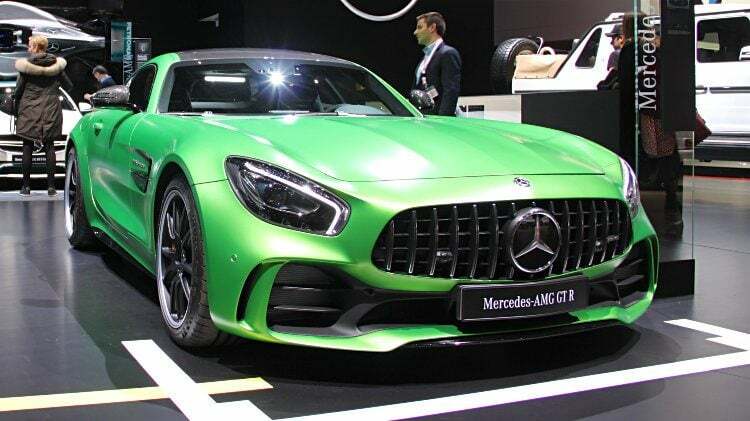 Mercedes Benz regained its position as Germany’s second best-selling car brand ahead of Audi and BMW. Mercedes Benz, Renault, Fiat and Toyota each increased sales by around 10,000 cars per manufacturer. Tesla was the most-improved brand with sales more than doubling during the first half of 2017. The VW Golf remained Germany’s favorite car model. During the period January to June 2017, new motorized vehicle (Kraftfahrzeuge) registrations in Germany increased by 2.1% to 2,079,321 vehicles. New passenger vehicle (Personenkraftwagen / PKW) registrations increased by 3.1% to 1,787,028 cars – around 55,000 more cars than were sold during the first semester of 2016. During the first half of 2017, petrol engines regained the lead over diesel engines for new cars with a market share of 55.8 % (+11.7%) petrol vs. 41.3% (-9.1%) for diesel. Registrations of new electric cars in Germany increased by 134% to 10,189 cars. The number of electric car sales in Germany remained embarrassingly low as the 10,189 include research and demonstration vehicles registered for road use and not only sales to final customers. Tesla more than doubled sales but the numbers remained relatively low. Registrations of new hybrid cars in Germany during the first half of 2017 increased by 82% to 37,520 cars including 12,264 (+100%) plug-in hybrids. Volkswagen remained Germany’s largest carmaker during the first half of 2017 but VW sales were down 3.8% to 332,876 cars. In an expanding market, Volkswagen’s weak performance meant a loss in market share of nearly 1.5%. VW’s weak performance is due to various factors including continued fall-out from the diesel exhaust scandal, including different treatments of German and US customers and a lack of petrol engine models, model updates, and production problems. Mercedes Benz had the best performances of the top-selling car brands in Germany during the first half of 2017. Mercedes Benz sales were up by 6.6% allowing Mercedes Benz to recapture the second place from Audi. The market share of Mercedes Benz increased by nearly half a percentage point to 9.4% – still only half of VW’s share. Mercedes Benz added more than 10,000 cars to last year’s total. Audi and BMW both had weaker sales and lost almost as many cars together as Mercedes added to the data. The only other top-ten rank order change was Ford moving ahead of Opel. Ford outperformed the market while Opel had marginally lower sales. Opel was not helped by further uncertainty around the brand’s future, after it became clear GM wanted to withdraw from Europe. It is still uncertain what effect the buyout of Opel by PSA will have in the near future. VW-owned Skoda underperformed the market while Seat was the only one of the Volkswagen Group’s five largest brands to outperform the broader market. Skoda remained the top-selling foreign brand in Germany during the first six months of 2017. Renault was the best-performing top-ten brand in Germany thus far in 2017. Renault sales increased by 16% adding more than 10,000 cars to last year’s first semester total. Renault was the favorite foreign car brand not owned by a German parent company. Hyundai sales were flat but sufficient to maintain 9th place just ahead of VW-owned Seat. The smaller car brands in Germany mostly had stronger sales during the first six months of 2017 with many clearly benefitting from Volkswagen’s woes. In addition to Renault, Fiat and Toyota were clear winners with sales up by around a quarter or 10,000 cars per company. Fiat remained at 11th while Toyota improved two places from a year ago. Nissan (-3%) was not only the only 10th to 20th brand with weaker sales in Germany during the first half of 2017 but also the only brand in this group to underperform the broader market. Nissan and Mazda each slipped one position due to the strong performance by Toyota. Peugeot improved one place and Dacia two. Kia slipped two positions and Citroen one. Mitsubishi and Mini swapped rank places. The most-improved brands were Tesla, Alfa Romeo and Lexus. The worst performing brands were DS and Honda. Despite weaker sales, Volkswagen still sold more cars in Germany than Mercedes Benz and Audi combined, or the 10th to 19th largest carmakers combined, or all 20 smallest manufacturers combined. The VW Golf remained the undisputed favorite car model of the Germans, although VW sold 15,000 fewer Golfs in Germany during the first half of 2017 compared to a year ago. The share of diesel engines in Golfs also slipped from 41.5% to 32.9%. Similar declines in the popularity of diesel engines were noticeable with most of the top ten cars. The VW Polo improved one position and increased sales despite a completely new model due by the end of the year. The VW Polo had the highest percentage of private buyers of the top ten most-popular car models in Germany thus far in 2017. The VW Tiguan moved up from 12th to third ahead of the VW Passat that was hit hard by delivery problems after a fire in a parts factory left Volkswagen Passats without glove compartment lids! The Mercedes Bent C-Class, Opel Astra, Audi A4, Skoda Octavia and Opel Corsa all maintained their relative rank positions from a year ago. The Corsa had by far the lowest percentage of diesel engines. The VW Touran moved up one position from a year ago. The cars dropping out of the top-ten list were the Audi A3 – from 4th to 11th and the BMW 2 Series from 10th to 19th. No BMW made it into the top ten.